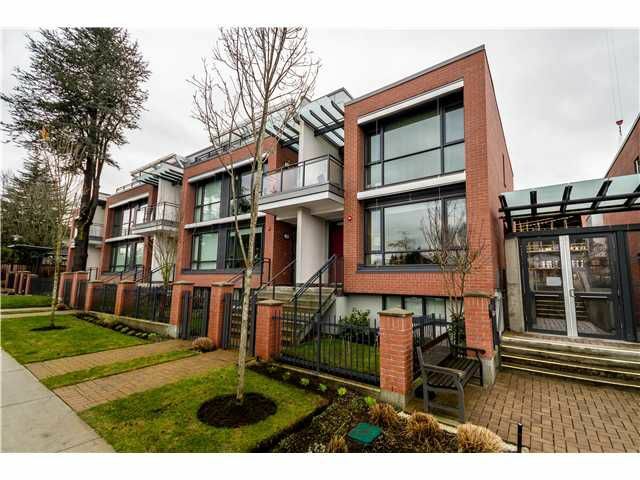 This luxurious 3 bedroom and den townhouse faces Tisdall park on a beautiful tree-lined street in Oakridge. This end unit features 3 levels, an open floor plan, 9' ceilings on the main, European style cabinets,Miele, Sub Zero and Bosch appliances. Stunning views of the park from the living room and master bedroom. Private patio is perfect for entertaining. Secure private underground garage for 2 cars and lots of insuite storage. Convenient location steps to Oakridge Shopping Mall, Jamieson Elementary, Langara College and golf course and the YMCA. Balance of 2-5-10 warranty available.